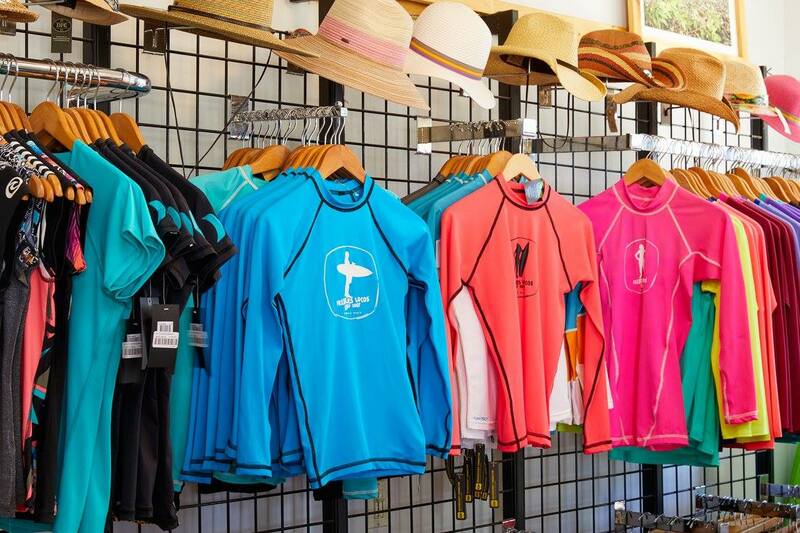 We want to make your Playa Grande surfing and vacation experience better than you hoped for! 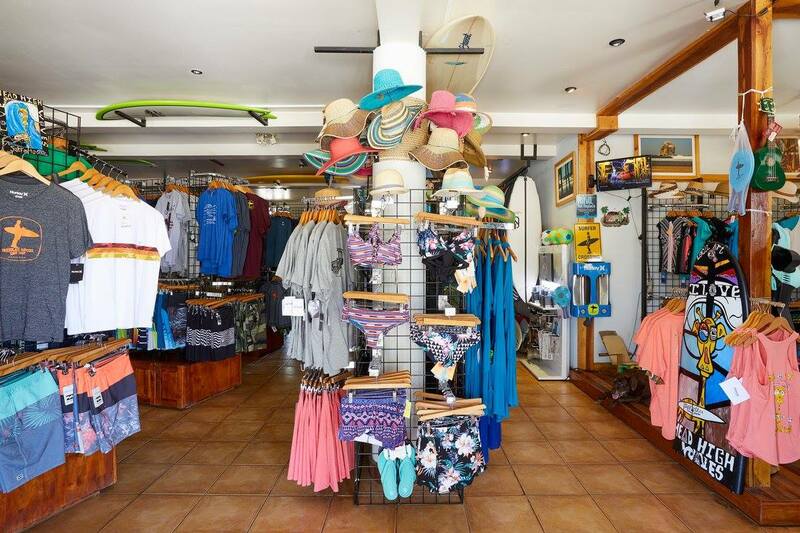 We want to make your Playa Grande surfing and vacation experience better than you hoped for. 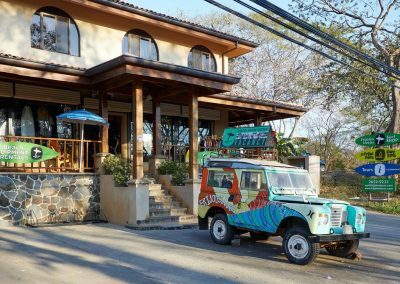 At Frijoles Locos, we guarantee you will be greeted with a smile, and even better service than you would expect at home. 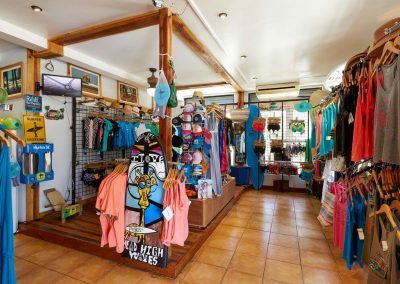 Our fair prices and helpful attitudes combine to ensure that your surf, play and stay in Playa Grande is the best it can be. 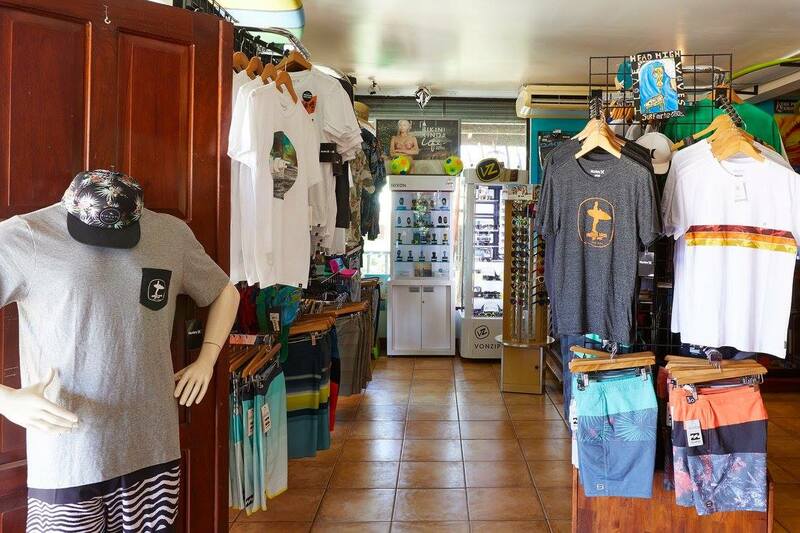 Get your swag on with all the latest surf gear, clothing and accessories from Rip Curl, Hurley, Volcom and more! 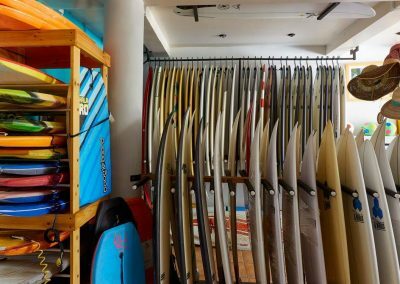 We have a wide selection of pre-owned surf boards, new surfboards, body boards and pre-order custom boards from our local shaper. 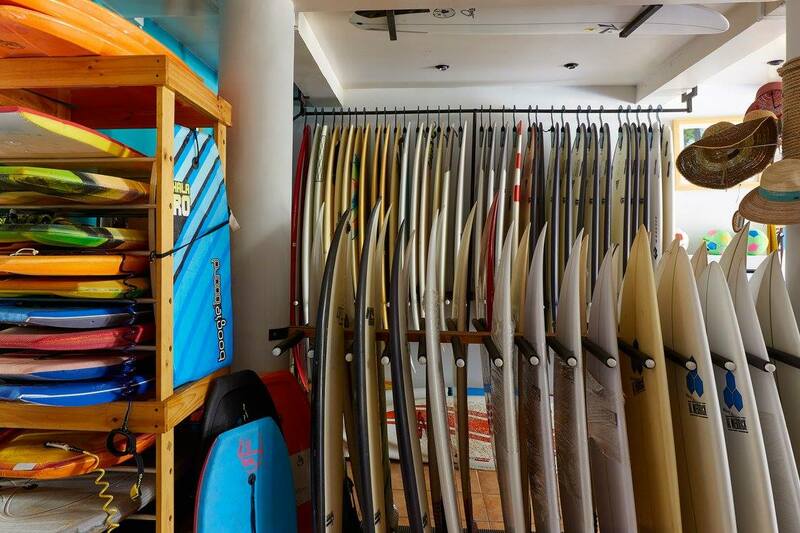 Avoid paying high airline surfboard fees and rent a surfboard from us for less than bringing your own. 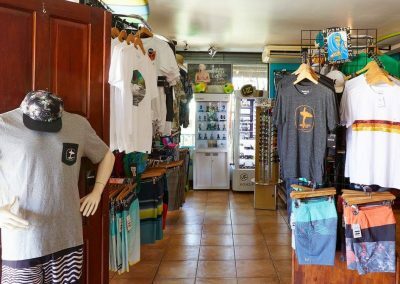 Check out Frijoles Locos on Facebook to see photos of our rental surfboards as well as our Playa Grande souvenir t-shirts. 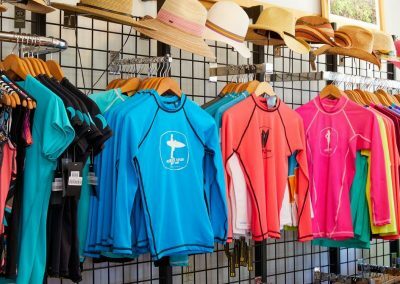 For quality surf / beach clothing, you can’t beat our range of locally made as well as imported clothing. 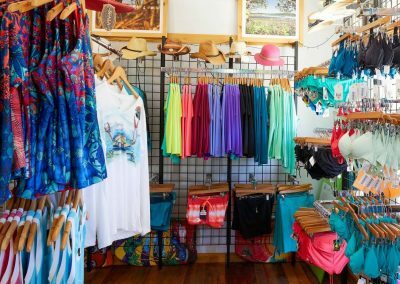 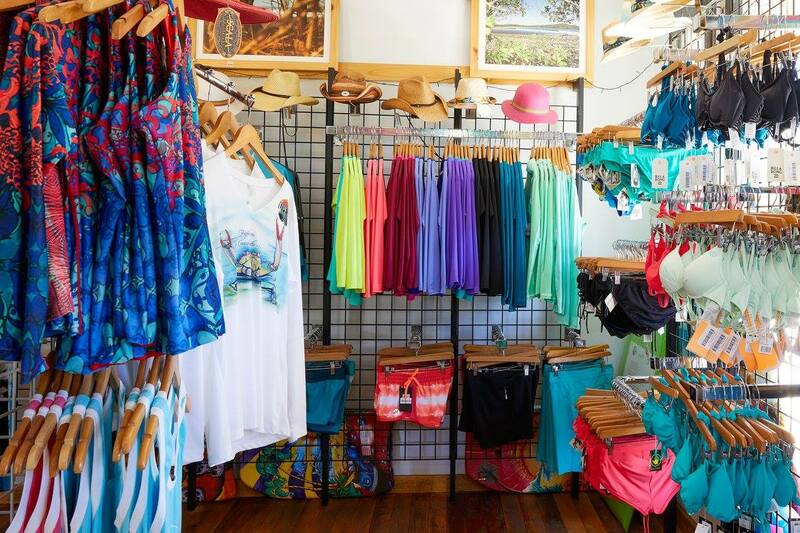 Our locally made rash-guards, bikinis, dresses and T-shirts support Costa Rican family businesses. 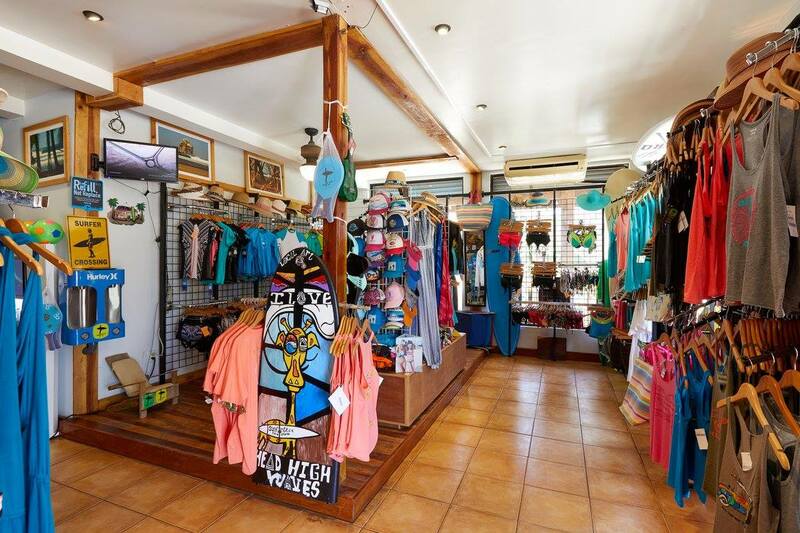 We also carry Billabong, Hurley, Volcom and RipCurl brand surf clothing and accessories. 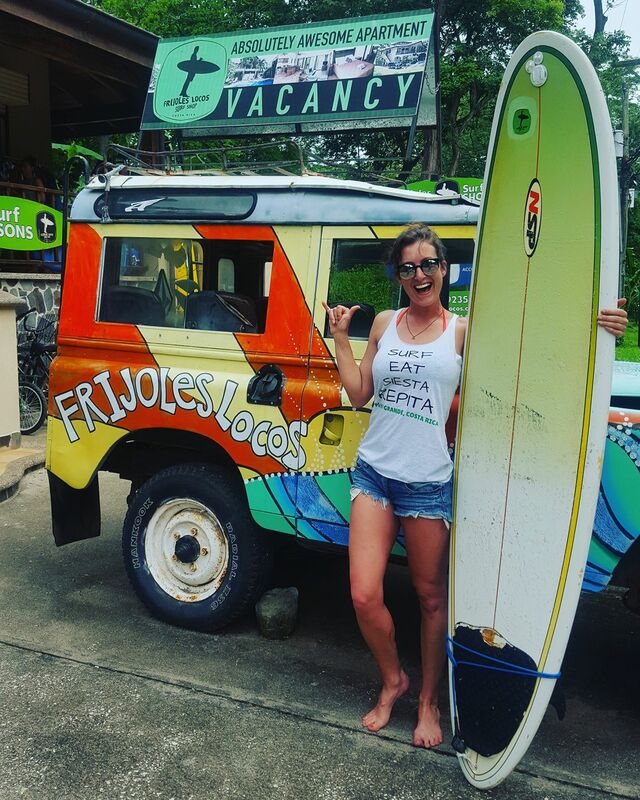 FRIJOLES LOCOS IS YOUR ONE-STOP-SHOP FOR ALL YOUR SURFING VACATION NEEDS! 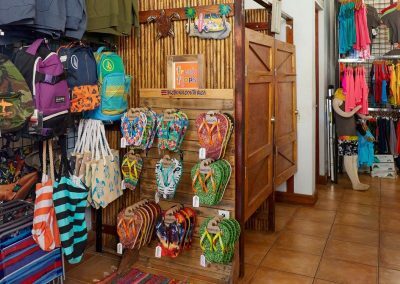 At Playa Grande Surf Shop we’re also all about supporting and developing a sustainable, eco-friendly attitude. 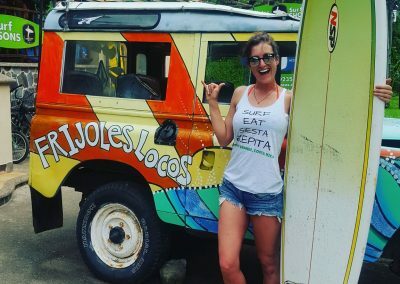 Feel good about choosing Frijoles Locos to provide what you need – we discourage the use of single-use plastic bags. 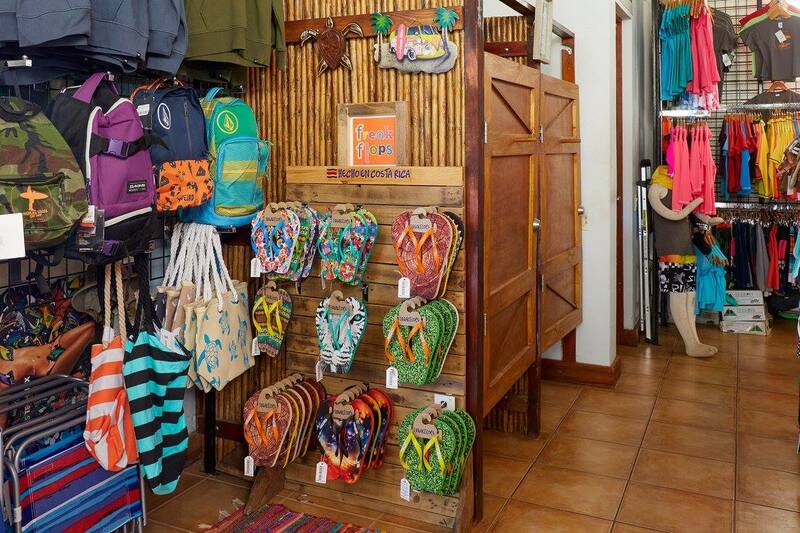 If you need a bag, we have saved the packaging from merchandise to re-use. 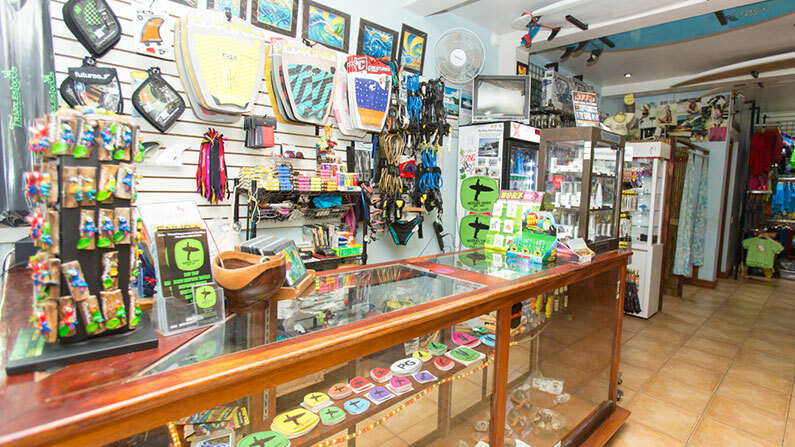 We recycle plastic bottles, glass bottles and cans. 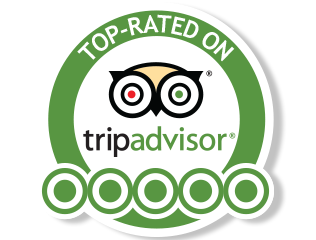 Our son’s school enjoys receiving packaging for art-projects rather than having them fill the trash dump. 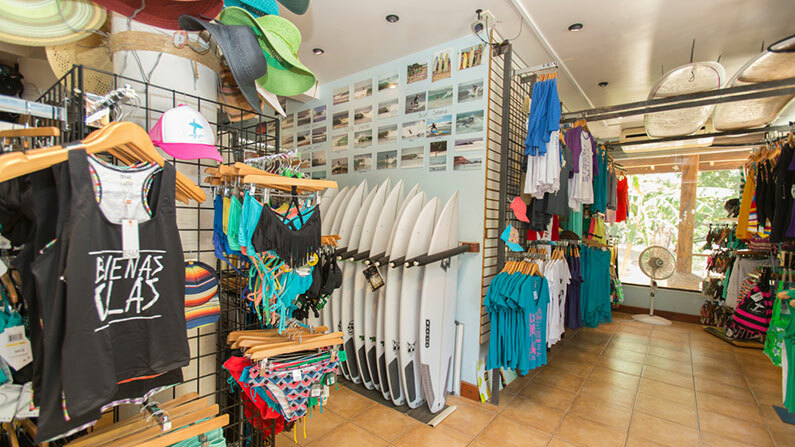 Great shop, nice people, good gear. 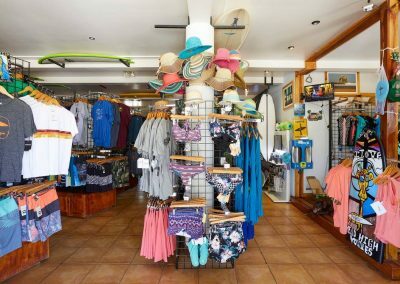 I would recommend this shop to anyone, but especially to anyone who is new to surfing or new to Costa Rica. 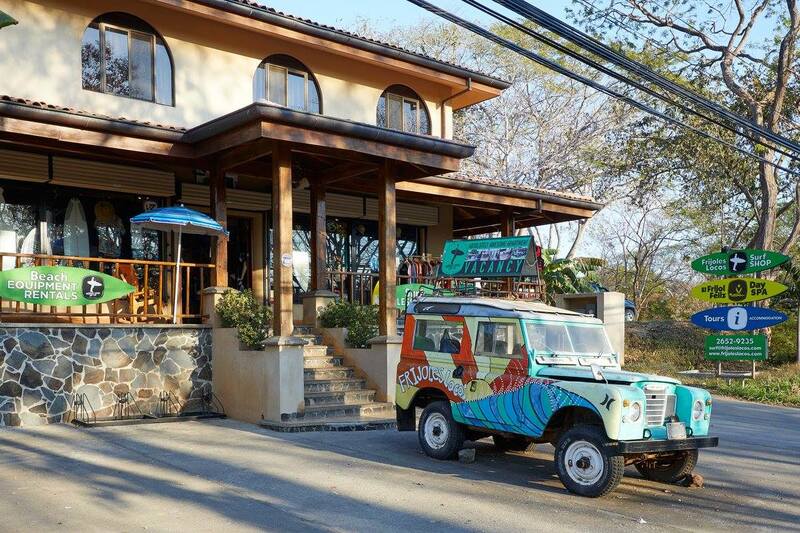 We had good service throughout CR, but Frijoles Locos went the extra mile.